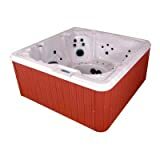 Model 6L Features: -8 person spa 70 jet hot tub lounger spa. 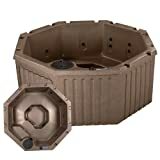 Insulated lockable hard cover.-Dual adjustable neck and shoulder jets.-Note: All spas are delivered curbside by common carrier. 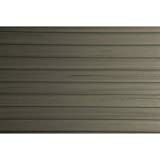 The driver will unload your spa and place it on a hard surface next to a public street or highway. Inspect your spa carefully and note any damage on bill of lading. The driver is not authorized to move your spa to the backyard or place it inside your home. It is your responsibility to move the spa to it’s final location. SS13050400 Finish: Grey Granite Pictured in Grey Granite Features: -Spa.-Seats: 4 to 6 people.-Balboa with LED light.-Adjustable air controls.-Ice bucket is optional.-Tray is optional.-Full foam insulation.-11 Stainless steel jets. Color/Finish: -Millstone finish.-Multi color LED lighting. Specifications: -Energy efficient: 1 KW/4 KW.-2 Horsepower pump.-110v 15 amp or 220V plug-n-play. Warranty: -Manufacturer provides lifetime shell warranty.